El Shaddai: Ascension of the Metatron launches in Japan on 28th April, Ignition Entertainment has announced. The PlayStation 3 and Xbox 360 action game will set you back ¥7980 (£60), Andriasang reports. Last year Ignition confirmed a 2011 European and North American release for the game, but has yet to firm it up. El Shaddai is a third-person fantasy actioner inspired by the Old Testament, specifically the Book of Enoch. It's all about battles between heaven and earth, fallen angels and great floods. Ignition has lined up British actor Jason Isaacs to voice the character of Lucifel. Isaacs will be joined by Blake Ritson (Enoch), Samantha Francis (Nanna), David Rintoul (Azazel) and Nicolette McKenzie (Ezekiel), whose collective acting credits include games like Kameo, Venetica and, more importantly, TV shows Casualty and Midsomer Murders. The game was developed by a team whose previous credits include Devil May Cry, Okami and Viewtiful Joe. Ignition says they've been given total artistic freedom, which explains El Shaddai's unique visual style. Rob Fahey went hands-on with El Shaddai last year. 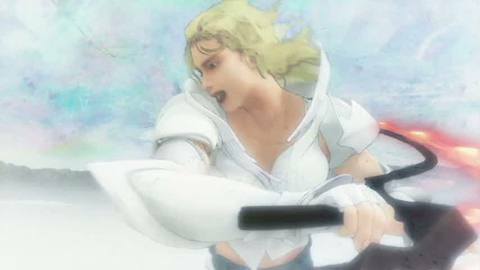 "At present, El Shaddai is shaping up to be a solid, competent game wrapped in some of the most glorious packaging we've seen in ages," he wrote.